We needed to remove the pop-up drain plug in our bathtub because it had become discolored. It used to be a chrome and silver color, but it had become chipped and showed a gold color that looks out of place and does not match the rest of the shower fixtures. It was not leaking or clogged, we just needed to replace it to match the rest of the bathroom. 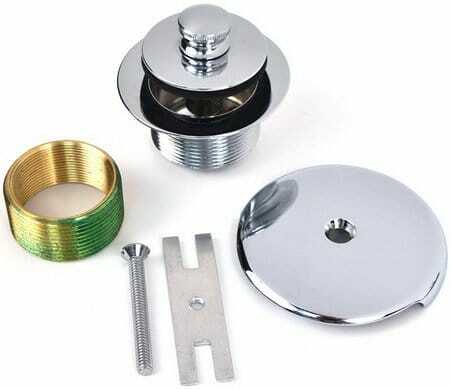 The pop-up drain plug will raise up and lower by pushing down or lifting up on the knob. We could not figure out how to completely remove it so we could replace it. 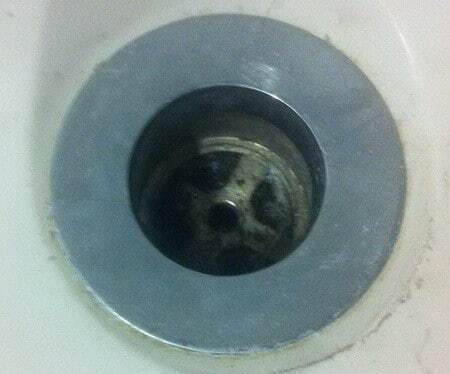 The drain plug has a small knob on top and it would just spin and we were not able to unscrew it. We removed the pop-up drain cover using a pair of pliers. We wrapped a protective cloth on the knob to not scratch it when we applied our tools. It unscrews counter clockwise and we removed it fairly easily with the proper tool. Our pop-up drain needed to be in the “down” position to be unscrewed. Your bathtub drain plug may disassemble in a different way. You may need to use a pair of pliers to hold the stem that is located under the drain cap. Then with another pair of pliers, unscrew the top cap. Some drain plugs need to be fully “up” and some need to be in between the “up” and “down” position top lock it in place for removal. Some bathtub drains have a small screw located in the side of it that needs to be loosened first. So depending on your type of bathtub drain, remove it according to the type. 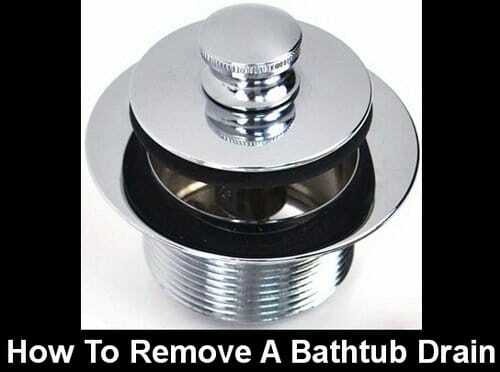 Once removed, replace it with the new bathtub drain kit. If you need to remove the complete bathtub drain assembly, you will make your life easier with the proper plumbing tool. The tool is called a “Tub Drain Wrench” and fits right into the drain to make it very easy to unscrew and remove. The drain removal tool will not scratch fine finishes. It can be turned with a common adjustable wrench extension or heavy duty screwdriver. As a bonus, this tool will also remove / install toilet seat nuts. Here are some bathtub drain kits that can be purchased online. Try to find the same manufacturer of the one you are replacing to make the job easier. Most kits include everything needed to completely replace the drain assembly and overfill plate. So if you have an old discolored bathtub drain and overfill plate, consider replacing it with a brand new one. This video will show you how to easily remove a pop-up bath drain.